VARIndia Star Nite Awards - 2009, which played host to the felicitation ceremony of the top performers of the Indian IT industry for the current year, also witnessed some heartening views from the industry pundits about India's strong position in the present financial turmoil. The much-awaited eighth VARIndia Star Nite Awards - 2009 was held with great pomp and fanfare on 24th November, 2009 at Hotel Eros (ParkRoyal) InterContinental, Nehru Place, New Delhi in the presence of the distinguished audience of more than 600 people, comprising government officials, CXOs, distributors, VARs, SIs and channel partners from across the country. The winners of the VARIndia Star Nite Awards were felicitated, followed by an awards ceremony and a gala dinner. On this occasion, more than 65 awards were presented to the top performers of the IT industry in various categories. The event kick-started with the lighting of the ceremonial lamp by the hon'ble guest, Dr Satyanarayana Dash (IAS), Secretary, Ministry of Heavy Industries & Public Enterprises, Government of India; Mr Savitur Prasad, Secretary, Department of Information Technology, Government of Delhi, and other high-profile dignitaries. “The automobile manufacturers feel that India is the right place. India is poised to get 6-per cent growth rate. All the auto manufacturers feel that India is the right place and are trying to bring models for manufacturing in India. There are no job cuts, and the automobile companies are saying that they have shortage in skills,” adds Dr Dash. “All the sectors are affected, including IT, but the future is bright. As per NASSCOM projections, the IT sector has a tremendous potential,” says Dr Dash. “The Government is focussing on rural areas because we feel that we should concentrate on the domestic sector as rural segment contributes 80 per cent of our growth, and so we can come back to the trajectory of 9-per cent growth. Whether it is e-Governance or telecom, we have tremendous opportunities. In the telecom sphere, we have crossed 500-million subscribers mark, and in the next five years we will reach 1 billion subscribers. I fully believe that the IT sector can come up in a big way,” added Dr Dash. Taking this opportunity, Mr Savitur Prasad, Secretary, Department of Information Technology, Government of Delhi, spoke about the latest e-governance initiatives taken by the Delhi Governmnet. One of the projects undertaken by the Delhi Government is Geo-Spatial Data Project. “Post 26/11, Delhi is now geared up for any kind of situation. There are some project profiles on which we have embarked upon and which will change the total face of this part of the country. There is a Geo-Spatial Data Project with a provision of satellite and aerial photography, which is generally carried by air force. We bought tetra vision machines which cost Rs.4 crore per machine and it covers one kilometre in an hour. Entire Delhi is being mapped above and under the ground. One can locate his/her house and draw boundary, exit and windows,” said Mr Savitur Prasad. Leased lines will be available to the administration. 64 IP cameras are being installed, and each camera can cover a range of five kilometres for the governance of Delhi. These will be remotely controlled, and further attached with CCTV cameras. In addition, Delhi Jal Board (DJB) will be taking the initiative to get all of its functionalities online. The entire data, such as underground and GIS pipes, will be monitored. The drainage policy for Delhi will be prepared and a public sector company will be employed for the task. “The Delhi Government is very fast and we would be going to implement citizen-friendly services. Necessary services will be made available to civilians within a timeframe. Otherwise, a penalty will be imposed on the respective officer, and the amount will be paid to the citizen. We will also be looking at E-gadget, which would be a free downloadable Web service that allows citizens to change name and other essential services without hassle,” said Mr Savitur Prasad. “We have worked upon an innovative model. For instance, as Delhi Tourism Website, envisaging Commonwealth Games receive hits, the company pays to the government as well as for those contracts which actually get converts into implementation, and it will be on a 50-50 sharing basis. For the Excise Department, we have built Design Build Own Operate Transfer (DBOOT) model. And, we will call upon the people to suggest the model that could boost the government's revenue. Delhi would definitely be the leader as being a national capital and would be the most advanced city in the world,” said Mr Savitur Prasad. 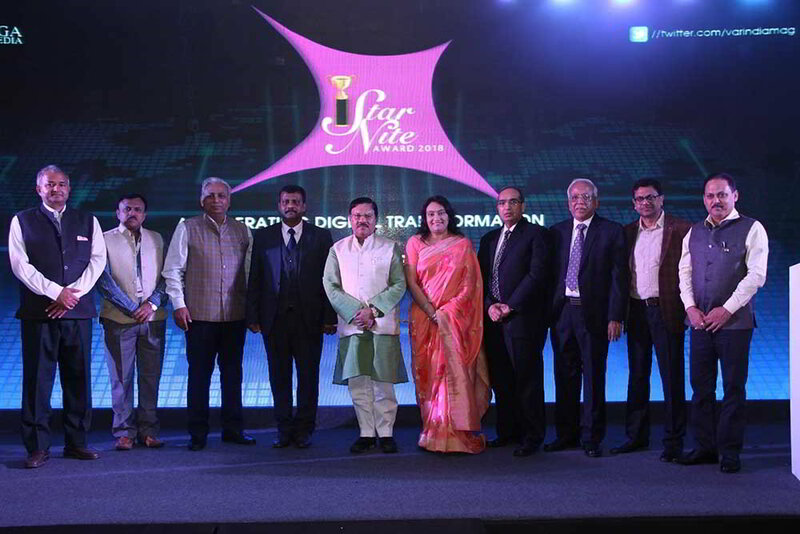 Designed to reward the individuals and companies who have made their mark in the IT channel during the past one year, VARIndia hosted the Star Nite Awards – 2009, aimed solely at honouring success stories in the channel. 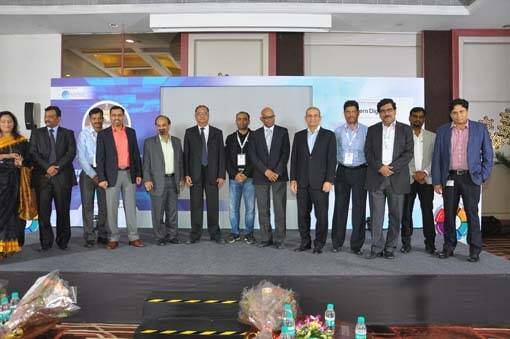 India's management figures from IT vendors, distributors, resellers, VARs and retailers turned out in force to ensure a lively affair that saw more than 65 awards given away at an awards ceremony specifically for the Indian channel community. With more than 300 nominations submitted to the VARindia team ahead of the entry deadline, the results of each category were keenly anticipated by the country's channel community. 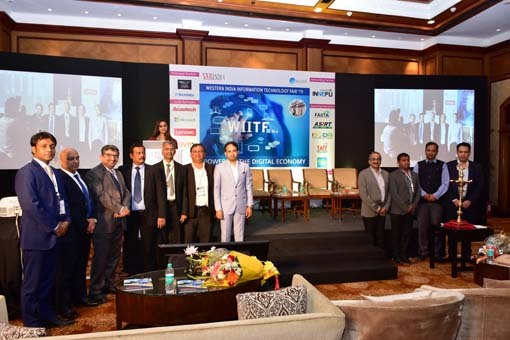 Those who squeezed into the Eros's posh Royal Ballroom showed their appreciation for the channel, accomplishments and success stories of IT vendors, distributors and resellers that have happened in the Indian IT market during the year. While paying tributes to the several examples of channel development and professional excellence that are evident in the Indian market, attendees made use of the opportunity to network with colleagues and partners from across the region. The event represented that India's channel community has been brought together to recognize outstanding achievements in the channel. While Mr Deepak Sahu, President & Director, Kalinga Digital Media, welcomed the guests and addressed the audience to repose faith in each other to avoid the slowdown, Mr Sanjeev Mahapatra, Publisher, VARIndia, proposed a vote of thanks at the end of the ceremony. Besides, the event also witnessed corporate presentations and industry perspectives on the market slowdown. “For the last seven months, the stock market is booming up. India has become among top ten golden countries. GDP is now above 6.6 per cent, and it is time to forget about recession,” said VP Sajeevan, Assistant Director- CSP Division, Canon India. According to Subrotah Biswas, Country Manager – India & SAARC, Logitec India, “We don't call it a recession, but we have termed it as a slowdown, as the former looks close to depression. It gives a chance to reflect internally and look at the core competencies. From our prospective, we inherit core values to ride over such times. Logitech is the only company that has shown a double-digit growth for the last five years due to our core values and competencies.” A special thank-you must go to the partners: Last but not the least, the vendors took the opportunity to showcase their products by setting up stalls, which were visited by guests in large numbers. A special thank-you must go to the partners: Samsung, HP, Microsoft, EMC, Beetel, Fujitsu and Epson, all of whom helped to make the event possible. The senior executives from each company were in attendance and came on stage to present awards throughout the evening, all of whom helped to make the event possible.